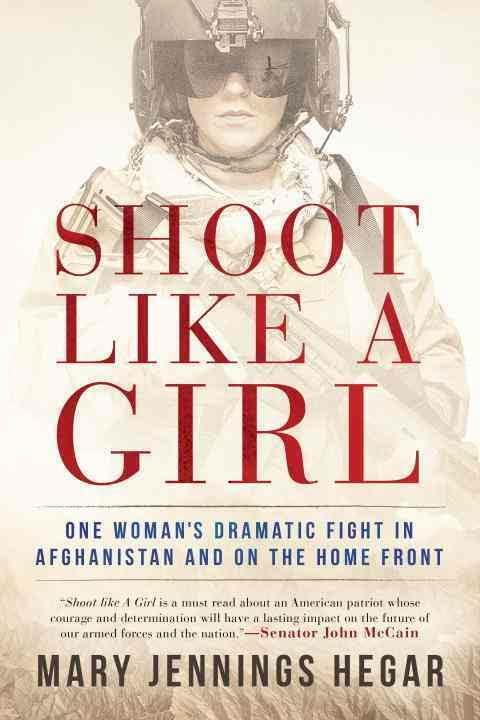 On July 26, 2017, NGEF hosted a panel review of Major MJ Hegar’s Shoot Like a Girl. NGEF hosted approximately 25 guests from around the local area for a round-table discussion of Major Hegar’s fascinating autobiography, Shoot Like a Girl. The title refers to the oft quoted rubric that women shoot better than men because they are more inclined to finely tuned, precise hand-to-eye coordination. As in days of old, when women spent time sewing fine needlework, they now are able to shoot well, maneuver aircraft in tight formation, and carefully fly into low visibility approaches to successful roll-outs. MJ Hegar received the Distinguished Flying Cross with device for outstanding bravery in combat during Operation Enduring Freedom. Her book focuses on the decision to fly, to join the California National Guard, and to come to terms with her outstanding ability to perform under pressure. Lastly, she touches on the importance of women’s combat roles for future career and reserve component NCO’s and officers – concluding that women in combat are now an essential asset to the successful mission accomplishment of the United States military. The panel discussion opened with participant introductions. The group was a mixture of Army and Air National Guard, including DC, West Virginia, Virginia, and Pennsylvania. There were Reservists and Active Duty. As a group, most folks were veterans, current military members, and staff. There were even three West Point graduates of whom two were in the original class of women and one was a recent graduate. Because of our numbers, we divided into two groups – each with a previously designated discussion leader. For over an hour and a half, discussion ranged from women in combat, to the conditions we all had experienced during our own service. Non-military participants gave their views from a civilian perspective. With respect and openness, the ultimate conclusion was that this is an important book – revealing personal experiences that can be drawn from for generations of soldiers and airmen to come. Veterans should be encouraged to raise their voices and share their experiences. Joining us for the discussion was Dr. Marian Moser-Jones, Associate Professor, University of Maryland School of Public Health. The panel was ostensibly a continuation of her yearlong program of 100 Years of American Women in War — which included the study of National Guard participation in WW1 through present day. That program was supported by the Smithsonian Museum of American History and a generous grant from the National Endowment for the Humanities. Our Museum director, retired Major Anne C. Armstrong, DC Air National Guard, also took part as a group leader in that series of four seminars. We hope to host future book discussion round tables and will announce them here! So keep an eye peeled and come join us!